1906 CANADA SILVER 50 CENTS COIN SILVER HALF DOLLAR - A nicer example! 1911 NEWFOUNDLAND SILVER 50 CENTS COIN HALF DOLLAR - Fantastic example! 1909 CANADA SILVER FIFTY 50 CENTS IN GREAT CONDITION ! 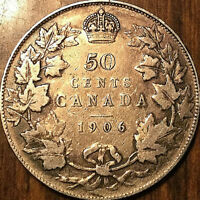 1907 CANADA SILVER 50 CENTS COIN HALF DOLLAR - Excellent example! 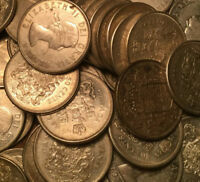 1918 CANADA SILVER 50 CENTS FIFTY CENTS COIN - A better one! 1872H CANADA SILVER 50 FIFTY CENTS IN GREAT CONDITION ! !